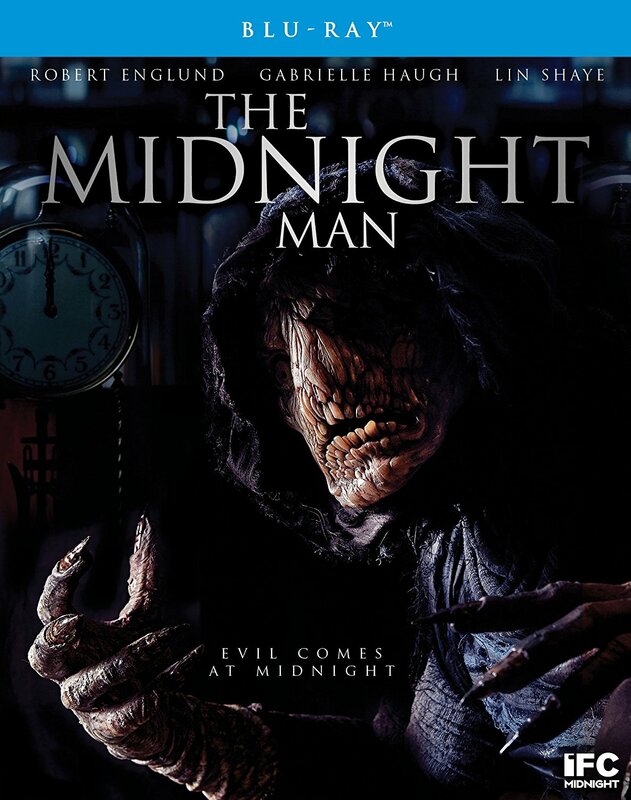 THE B-MOVIE NEWS VAULT: Scream Factory Wants You to Enter the DEVIL'S GATE and Meet THE MIDNIGHT MAN! Scream Factory Wants You to Enter the DEVIL'S GATE and Meet THE MIDNIGHT MAN! SCREAM FACTORY BRINGS TWO MORE IFC MIDNIGHT TITLES TO DVD & BLU-RAY ON JUNE 5TH! IFC Midnight titles are hit or miss with me, but both of these new additions to Scream Factory's constantly expanding catalog look to be winners. DEVIL'S GATE looks to be a bizarre film featuring alien visitors, and THE MIDNIGHT MAN introduces an interesting new supernatural boogeyman (plus has genre vets Robert Englund and Lin Shaye)! Sign me up for both! Synopsis: Amanda Schull (12 Monkeys), Milo Ventimiglia (This Is Us), Shawn Ashmore (The X-MEN Trilogy) and Jonathan Frakes (Star Trek: The Next Generation) star in this unnerving, edge-of-your-seat thriller that "keeps executing its euphoric bacchanal of bizarre plot points" (Paste) until its final twisted reveal. What unholy force lies locked away in this crumbling, booby-trapped, middle-of-nowhere farmhouse? When a woman and her son mysteriously vanish, FBI agent Daria Francis (Schull) is dispatched to the small town of Devil's Gate, North Dakota to investigate the number one suspect: religious fanatic Jackson Pritchard (Ventimiglia), husband and father of the missing persons. But when Francis and local deputy Colt Salter (Ashmore) arrive at Pritchard's foreboding property, they discover much more than they bargained for lurking in the basement. Unfolding over the course of 24 delirious hours, this head-spinning sci-fi creature feature hits viewers with a bonkers blitzkrieg of genre-bending twists and turns! 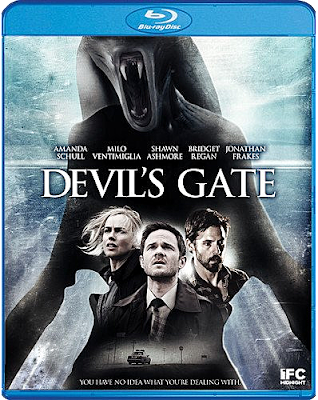 DEVIL'S GATE comes to DVD & Blu-ray on Tuesday, June 5th, courtesy of Scream Factory! You can currently order yourself a copy (approximately $12 for DVD and $15 for Blu-ray) of this new IFC Midnight title from AMAZON, BULLMOOSE, or directly from SHOUT! FACTORY. Synopsis: It was supposed to be just an urban legend... On a snowy night in her grandmother's sprawling mansion, teenager Alex (Gabrielle Haugh) and her best friend Miles (Grayson Gabriel) discover a mysterious box hidden away in the attic. Inside are instructions for "The Midnight Game," an ancient pagan ritual said to summon the player's greatest fears. THE MIDNIGHT MAN also comes to DVD & Blu-ray on June 5th and should cost about $12 on DVD and $18 on Blu-ray! 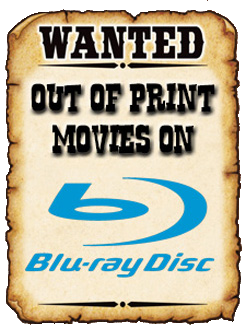 You can order a copy now from AMAZON, BULLMOOSE, DIABOLIK DVD, or directly from SHOUT! FACTORY.